MSTC (Metal Scrap Trade Corporation Limited) Limited is an Indian state-owned e-commerce company based in Kolkata, west Bengal. 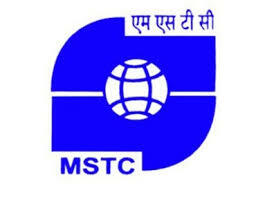 MSTC is a Mini Ratna Category-I PSU under the Ministry of Steel, Government of India. It is a Working institute in the Public Sector engaged in cooperation International and Domestic Trading in industrial bulk raw material. MSTC Limited invites to fill-up the following Non-Executive Govt. Job vacant vacancy through employment on usual basis through online process of applications. New Job openings 2018-19 Apply Online for 26 Peon, Stenographer, More Vacancies in MSTC Recruitment 2018-19 in Kolkata, Bhopal, Jaipur, Thiruvananthapuram, Hyderabad| Secunderabad, Vadodara, Lucknow, Raipur, Ranchi.